Share Our Strength | Beer and Bake. We wanted to take a minute to make sure we recognize the great organization we are doing this event for. This great nonprofit works to make sure kids don’t grow up hungry. 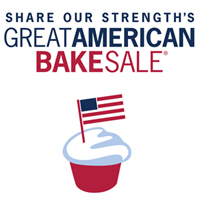 This bake sale is just one of many ways you can help them out. Visit http://strength.org/ for more details on what they do and how they do it.